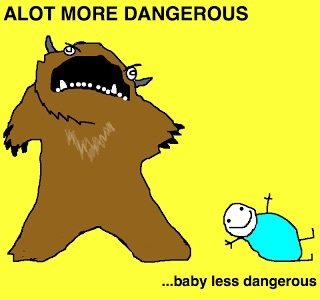 There is no Englilsh word “alot.” That is, there wasn’t, until this cartoonist created an imaginary beast who could help make sense of all the sentences that use the non-word “alot” (instead of “a lot”). 8 Feb 2015 in Amusing, Culture, Design, Humanities, Language. ← “Do Date” vs “Due Date”: Do Profs Really Have to Explain the Difference?